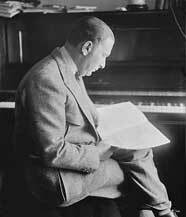 During the 1930s, following his departure from the Cincinnati Symphony (where he had been conductor 1922-1931) Fritz Reiner was teaching at the Curtis Institute in Philadelphia. 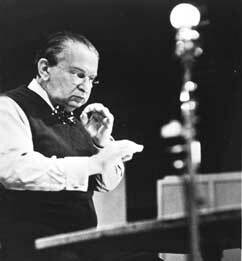 His principal instruction was in conducting, developing such students as Leonard Bernstein (Class of 1941), Vincent Persichetti (Class of 1939) and Lukas Foss (Class of 1940). 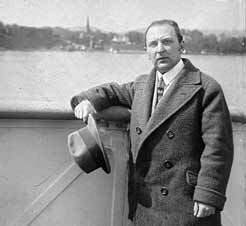 While he was teaching at Curtis, Fritz Reiner, aided by continuous letter writing by his wife Carlotta, was seeking a permanent orchestral post. However, this was without success and likely frustrating for Reiner's ambitions. 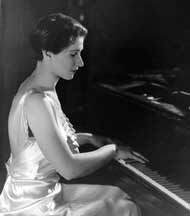 During this period, Reiner conducted the Philadelphia Orchestra, the New York Philharmonic and the Chicago Symphony, but always at their summer seasons in Fairmount Park, Lewisohn Stadium and Ravinia Park, respectively. 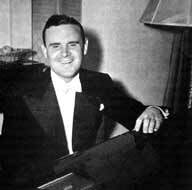 He also conducted the San Francisco Opera in 1936 and 1937, and at the Hollywood Bowl on 17 August 1937. 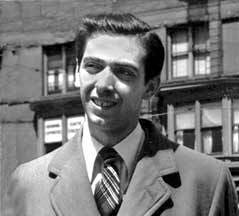 During the 1930s, Reiner witnessed other conductors gaining orchestra positions which became available: Eugene Ormandy with the Philadelphia Orchestra, Arthur Rodzinski with the Cleveland Orchestra, John Barbirolli with the New York Philharmonic, Vladimir Golschmann with the Saint Louis Symphony and Pierre Monteux with the San Francisco Symphony. 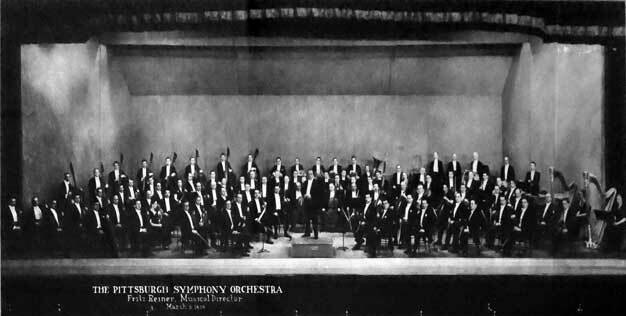 In 1937, civic leaders of Pittsburgh decided to reorganize the Pittsburgh Symphony Orchestra, with new financial underwriting and with a schedule of 13 pairs of concerts for the 1937-1938 season, to be conducted by guest conductors. 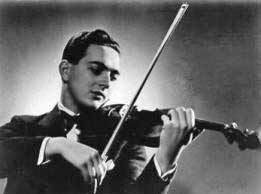 Otto Klemperer, at that time Los Angeles Philharmonic Music Director was hired to audition and train a new orchestra. Guest conductors were Otto Klemperer for the first three concerts, followed by Eugene Goossens, Carlos Chavez, Fritz Reiner and Georges Enescu for two pair of concerts each. 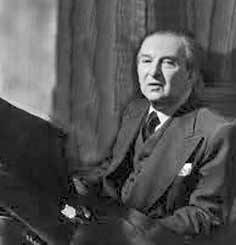 Reiner in fact conducted four pairs of concerts, since Georges Enescu was a last-minute conductor of the New York Philharmonic replacing John Barbirolli (later Sir John) in January and early February 1938. Klemperer was offered the Pittsburgh Music Director position at an increase over his Los Angeles salary, but he declined. 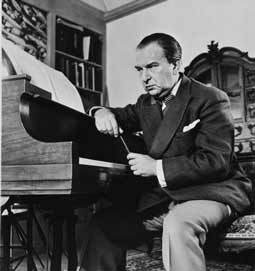 In March, 1938, the Pittsburgh Board announced the appointment of Fritz Reiner as Music Director of the Pittsburgh Symphony for the 1938-1939 season. Also somewhat difficult was the Pittsburgh Symphony concert hall, the Syria Mosque. 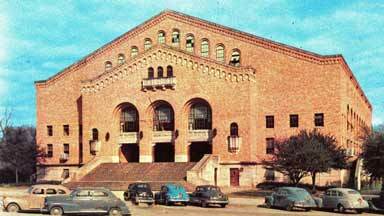 This was a Moorish style theater with 3,850 seats built by the Shriners fraternal organization. As well as being too large for a symphony hall, also its oval shape, wider than deep, produced acoustics which made it difficult for the orchestra musicians to hear each other, and with weaker projection of the orchestral sound. Reiner set about improving the Pittsburgh Symphony, replacing 46 musicians - more than half of the 90 person orchestra. In later seasons, again often half of the orchestra would be replaced. This was not only due to Reiner firing musicians, but also because Pittsburgh salaries were lower than in Boston, New York, Philadelphia or Chicago. The season was also shorter, and with no summer concert series to add to income. Also in Pittsburgh, part-time musicians jobs were less plentiful than in larger cities. Then, during World War 2, the draft of musicians, plus the salaries for foreign musicians exempt from the draft increased departures. 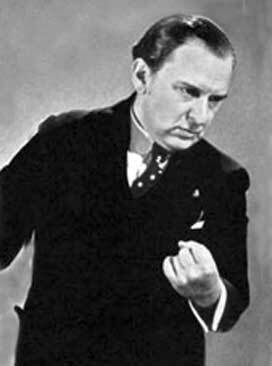 Fritz Reiner's efforts to begin making recordings was finally successful with his first contract with Columbia Records in 1940. 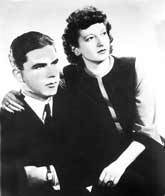 Their first recording sessions were on February 25, 1940 and March 14, 1940. 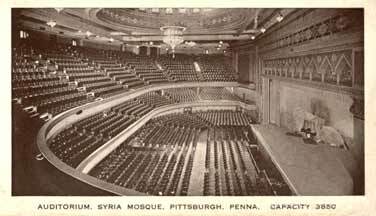 These were made in Pittsburgh's Carnegie Music Hall 8, rather than the Symphony's usual venue at the Syria Mosque, Pittsburgh. The Syria Mosque had relatively poor acoustics in part due to its large oval shape, twice as wide as it was deep, but also perhaps the Carnegie Music Hall was more less expensive. They recorded an all Wagner program: the Lohengrin Prelude to Act III, the Meistersinger Prelude to Act I, the Forest Murmurs from Siegfried Act II, and the Ride of the Valkyries from Act III of Die Walküre. However, because of voltage fluctuations during recording, of these discs, only the Ride of the Valkyries was released by Columbia, and that not until 1944. 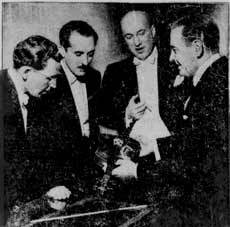 Instead, a new Wagner recording session was held in the Syria Mosque on January 9, 1941 when the Meistersinger Prelude to Act 1 was recorded and released on a single Columbia 12 inch (30cm) 78 RPM disc Columbia M 11980-D. Also recorded during that session was the Wagner Lohengrin Act III Prelude, and the Forest Murmurs. However, these other works were not released until 1944 in the Columbia album M-549 entitled " Five Famous Orchestral Excerpts From Wagner Operas". 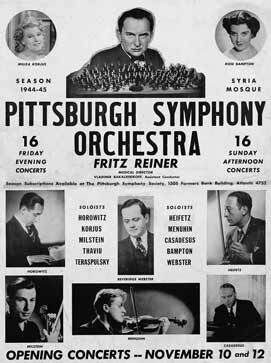 A major source of information for this concert listing was the Archives of the Pittsburgh Symphony Orchestra, with the particular aid of Jesse Montgomery, Manager of Artistic Planning and Audience Engagement of the Pittsburgh Symphony Orchestra. This information was supplemented by my own programme collection and by research in the archive of newspaper articles of the period. I have also begun to add Reiner - Pittsburgh Symphony concerts done in other cities, outside the usual subscription series, and other special concerts. Corrections, additions and comments on this material will be welcome by contacting me. 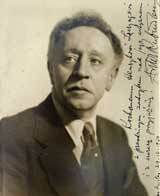 Reiner was not yet Music Director. 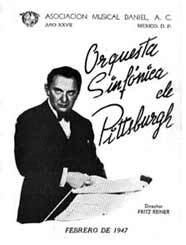 During the 1937-1938 season of the newly reorganized Pittsburgh Symphony, Otto Klemperer, Eugene Goossens, Carlos Chavez, and Fritz Reiner were guest conductors. 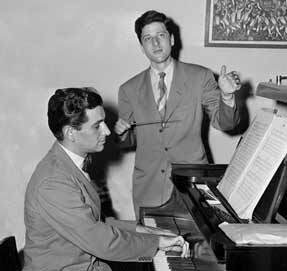 Georges Enescu originally scheduled to follow Reiner instead conducted the New York Philharmonic for an indisposed John Barbarolli, so Reiner conducted for 4 weeks. Ludwig van Beethoven: Symphony no 3 in E-Flat major, opus 55, "Eroica"
Peter De Rose, Sam M. Lewis: "I heard a forest praying"
English Folk Song "The May Day Carol"
Michael Head: "When I Think Upon the Maidens"
Edward Campion: "The Ninety and Nine"
P. I. Tchaikovsky: Symphony no 6 in B minor, opus 74, "Pathétique"
Ludwig van Beethoven: Symphony no 6 in F major, opus 68, "Pastoral"
Ludwig van Beethoven: Symphony no 9 in D minor, opus 125, "Choral"
Morley: "Now in the Month of Maying"
Igor Stravinsky: Firebird suite: "Infernal Dance"
Ludwig van Beethoven: Piano Concerto no 5 in E-flat major for Piano and Orchestra, opus 73 "Emperor"
Ludwig van Beethoven: Incidental music for The Ruins of Athens, opus 113: "Turkish March"
McNair Ilgenfritz: "Blow, blow, thou winter wind"
Isaac Woodbury: "Stars of the Summer Night"
Hymn: "The Spacious Firmament On High"
Erno Dohnanyi (1877 -1960): The Suite in F-sharp minor opus 19 (1909): movement 3 "Romanza"
Enrique Granados orchestrated by Hans Byrne: Spanish Dance no 10 "Danza Triste"
Isaac Albeniz orchestrated by Enrique Fernández Arbós: Iberia Book 2: "Triana"
Wolfgang Amadeus Mozart: Symphony no 38 in D major, K. 504, "Prague"
Nikolai Rimsky-Korsakov: The Tale of Tsar Saltan (1900): Interlude "Flight of the Bumblebee"
Edward MacDowell: Indian Suite (1892): movement 5: "Village"
Claude Debussy: from Trois Nocturnes: "Fetes"
Giuseppe Verdi: La Traviata Act II: "Pura siccome un angelo"
Robert Schumann: Symphony no 1 in B-flat major, opus 38, "Spring"
Franz Josef Haydn: Symphony no 100 in G major, "Military"
Felix Mendelssohn: Symphony no 4 in A major, opus 90, "Italian"
Richard Wagner: Parsifal Act III as arranged by Wagner: "Good Friday Spell"
Richard Wagner orchestrated by Felix Mottl: Wesendonk Lieder number 4: "Schmerzen"
Georges Bizet: Carmen Act II: "Toreador Song"
Arthur Sullivan - W. S. Gilbert: H.M.S. Pinafore (1878): "My gallant crew, good morning", "I Am The Monarch of the Sea"
spiritual: "Swing Low, Sweet Chariot"
Robert Schumann: Symphony no 3 in E-flat major, opus 97 "Rhenish"
traditional: "For He's a Jolly Good Fellow"
Wolfgang Amadeus Mozart: Symphony no 35 in D major, K. 385, "Haffner"
Edward MacDowell (1860-1908): Suite Number 2 opus 48 "Indian"
Elgar: Cockaigne, opus 40, "In London Town"
Johann Sebastian Bach orchestrated by Lucien Cailliet: Fugue in G minor, "Little"
Wolfgang Amadeus Mozart: Symphony no 41 in C major, K. 551, "Jupiter"
Bohuslav Martinu (1890-1959): Symphony no 2 (1943) - this work had been given its premiere by Erich Leinsdorf and the Cleveland Orchestra on 28 October 1943. In this season, the Pittsburgh Symphony concert season had expanded to 28 weeks, matching the seasons of the major US orchestras: Boston, New York, Philadelphia and Chicago, but without the summer seasons which these other orchestras had to the benefit of their musician's salaries. This expanded season was witness to the progress Fritz Reiner had made in building a vibrant orchestral organization and large audience. Franz Schubert: Symphony no 9 in C major, D. 944 "The Great"
Franz Josef Haydn: Symphony no 31 in D major, "Hornsignal"
Ludwig van Beethoven: Symphony no 3 in E-Flat major, opus 55 "Eroica"
These Mexican compositions were played in preparation for the Reiner/Pittsburgh Symphony tour of the southern United States and Mexico in January and February 1947. 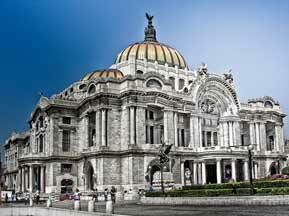 Pittsburgh Symphony Orchestra on tour - five concerts in Mexico City under Fritz Reiner. Carlos Chavez conducted the Pittsburgh Symphony in an additional sixth Mexico City concert. Franz Josef Haydn: Symphony no 104 in D major, "London"
Felix Mendelssohn: Symphony no 3 in A minor, opus 56, "Scottish"
Franz Josef Haydn: Symphony no 94 in G major, "Surprise"
Franz Schubert: Symphony no 8 in C major, D. 944 [old Nos. 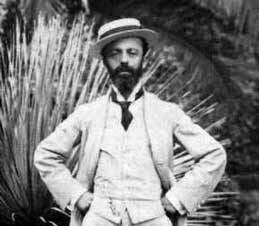 7 and 9] "The Great"
Antonin Dvorak: Symphony no 9 in E minor, opus 95 "From the New World"
Wolfgang Amadeus Mozart: Symphony no 36 in C major, K. 425, "Linz"
Felix Mendelssohn: The Hebrides Overture, opus 26, "Fingal's Cave"
Richard Wagner: Die Walküre: "The Ride of the Valkyries"
Kenneth Morgan wrote: "...Reiner's search for a new post became more urgent as the forties progressed because of the opposition to his artistic and financial goals in Pittsburgh. 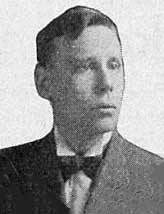 He left his post there in 1948 after disagreements with Spector [Pittsburgh Symphony manager] and attempts to cut back the number of players and length of the season... By 1948 Reiner was in negotiation with the Metropolitan Opera to become a principal conductor; his appointment was confirmed shortly after his resignation from Pittsburgh [to the Board 20 February 1948] 13. Irving Kolodin in The New York Sun wrote: "...Richard Strauss' "Salome" was revived at the Metropolitan Opera House last night in more than the usual meaning of that term. 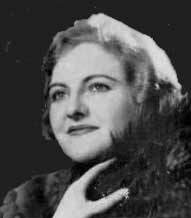 With Ljuba Welitsch, the new Bulgarian soprano, as one wing of the bellows, and Conductor Fritz Reiner, of long and esteemed honor, as the other, they pumped blazing life into a work which might almost be said to be making its debut here with them. An audience which filled every nook of the theater was still cheering both fifteen minutes after the final curtain. Musical America wrote: "...Despite the admirable contributions of most of the singers, it was Mr. Reiner's conducting, above all else, that made this Falstaff one of the Metropolitan's finest attainments in many seasons. Musical America wrote: "... Despite the admirable contributions of most of the singers, it was Mr. Reiner's conducting, above all else, that made this Falstaff one of the Metropolitan's finest attainments in many seasons. 4 page F-1. Apone, Carl. "They Can Be Pleasent or Downright Prickly" Pittsburgh Press. Pittsburgh, Pennsylvania. August 4, 1985. 5 Morgan, Kenneth. "Fritz Reiner, Maestro and Martinet" University of Illinois Press. Urbana, Illinois. 2005. ISBN-13: 978-0-252-07730-2. 6 Peck, Donald. "The Right Place, The Right Time." Indiana University Press. Bloomington, Indiana. 2007. ISBN-13: 978-0-253-34914-9. 7 pages 631-636. Thomas, Louis Russell. 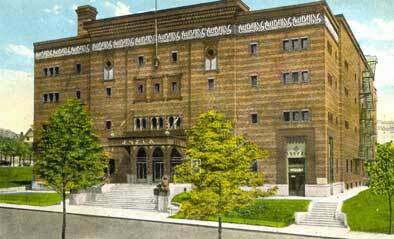 A History of the Cincinnati Symphony Orchestra to 1931. University of Cincinnati. Cincinnati, Ohio. 1972. 8 pages 107-108. Hart, Philip. Fritz Reiner: A Biography. Northwestern University Press. Chicago, Illinois. 1994. ISBN: 0810114631. 9 page 6. Before the Mike. Sandusky Star Journal. Sandusky, Ohio. November 3, 1928. 10 page 4. On the Air. Decatur Review. Decatur, Illinois. November 6, 1928. 11 Humphrey, George Norwood Becoming a Musician. Xlibris Corporation. Bloomington, Indiana. ISBN 978-1-4257-2074-5. 12 page 4 Expected Too Much Valley Morning Star. Harlingen, Texas. February 16, 1947. 13 pages 126-127. Morgan, Kenneth. "Fritz Reiner, Maestro and Martinet" op. cit. 14 page 5. Lewando, Ralph. "Pittsburgh Symphony Orchestra Scores in Opening Concert". Pittsburgh Press. Pittsburgh, Pennsylvania. October 20, 1945. 14 page 2. Steinforth, Donald. "Symphony Orchestra, Audience Make Reiner's Farewell Memorable". Pittsburgh Press. Pittsburgh, Pennsylvania. April 26, 1948.